Thank you! We appreciate the information and have amended the article. 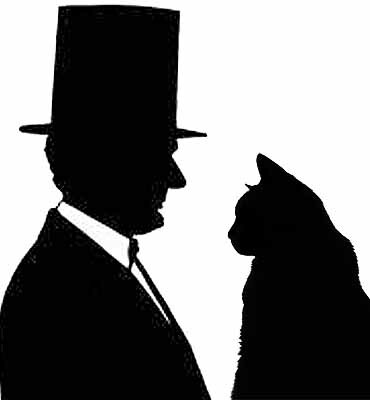 So, what happened to Lincoln’s cats after his assassination? Did Mary keep them? Did she simply leave them behind…really would like to know if the cats stayed in the family or were given away or abandoned. We haven’t turned up that information, Carol. We’d love to know, too! Please, what is the source of “Dixie is smarter than my whole cabinet! And furthermore she doesn’t talk back!”, and that one of the kittens Seward gave the Lincolns’ boys was named “Dixie”? Thanks for any information. Thanks for your reply. I have a huge interest in the topic and read probably every related book but cannot recall this mentioned in any. I never knew this about Lincoln. What a kind heart and soul! Cats are perfect creatures in all ways. I love that my hero mr.lincoln loved cats,so do. What a soft hearted man. I love cats too . They never bite anybody . They are so loving and they keep away mice too . If we had such pictures, we would definitely post them. However, it seems unlikely that any exist. I doubt there has even been, nor will ever be, a government leader more gracious, decent and humble than dear President Lincoln…(and I’m Canadian!) Lovely to hear that my favorite President loved cats as much as I do! Thanks for this article.